Located just southeast of Bellefontaine on SR 33, and within an hour's drive of Columbus, Dayton, Lima and Springfield, Mad River Ski Resort offers a variety of ski related activities and of course skiing. While central Ohio is not known for it's Alpine slopes, the 350' drop from top to bottom at Mad River is not much to brag about. But with so many other pluses, Mad River Ski Resort has a lot to offer skiers that want to get some swooshing in between trips to Telluride or Aspen. Mad River Mountain has recently added new trails, enlarged its' beginners slope, increased snowmaking capacity, and made major investments in snow grooming equipment. The Base Lodge at Mad River Mountain offers a wide variety of delicious food and drink served from the cafeteria and of course there are The Lift Line Lounge and The Loft to keep you well lubricated. The 12 lifts here are enjoyable, even though the area typically has lighter than average snow, but this is somewhat variable. There's 125 acres of skiable land, and it's all in perfect shape. This ski hill gets covered by 3' of beautiful snow every year, and while that is not exactly outstanding, it is certainly better than nothing. The main ski hill is a conventional size hill having an average vertical drop if compared to other mid west ski resorts. The nearest ski resort featuring a higher vertical drop is 73 miles away. Mad River has an average ratio of black and red slopes and an average part of blue and green slopes. Pleasant exercise and a chance to spend some time in the fresh air will make you feel wonderful. This ski hill has 20 runs. Mad River has a rather humble mixture of slopes and an acceptable pick of great ski lifts. 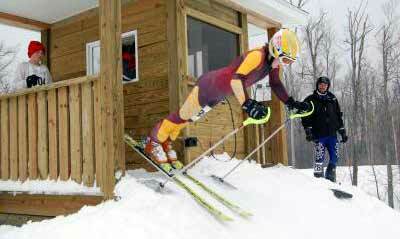 This is a popular ski resort for skiers from Bellefontaine. There are many hotels here if you want to stay for the night, and if you make reservations before heading out, you're all set. Mad River opened in 1962. This family ski area with a vertical drop of 300 feet offers one quad, one triple, and three double chairlifts for uphill capacity. Riders have access to a terrain park and quarter pipe in the snow boarding area. Snowmaking covers the slopes thus assuring good skiing all season long no matter what Mother Nature is doing in Ohio. No lodging available at the area. Motels and Lodges available nearby. Cafe, snack bar, bar/lounge, picnic area, ski shop, and rentals at the area. Learning centers offer lessons for groups, privates, and semi-privates for all ability levels. 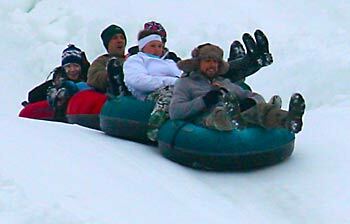 Snow boarding, tubing park, and sledding. 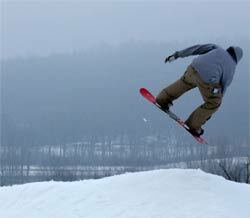 Three different terrain parks and quarter pipe available for snow boarding at area.